A unique opportunity has spun out of the Dutch-State visit to Australia in early November and is founded on recent years of joint knowledge sharing between Queensland and Dutch water professionals. A visit from King Willem-Alexander and the Queen Maxima to QUT in Brisbane will be the introduction to this half day Summit. 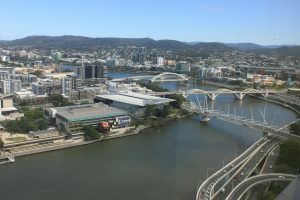 The devastating Queensland floods of 2011 sparked an alliance to take-on climate extremes between the two countries, who both have a long history dealing with natural disasters. Building on their own unique expertise and experience, a thriving knowledge exchange partnership has developed over the last 4 years in Queensland. At the summit, participants will reflect on recent achievements, explore priority issues and identify future opportunities for collaboration. Two parallel workshops will engage the diverse mix of professionals from Local and State Government, research centres, NGO groups, industry and consulting specialists. 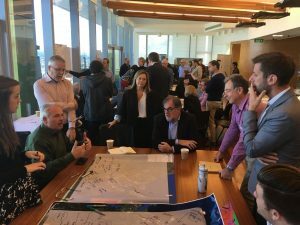 The various participants have a common interest in water and/or flood risk management that is incorporated into their broader responsibility portfolios that range from land use planning, adaptive architecture, engineering, social engagement, resilience building, insurance and smart technologies. With a quick update on current Queensland and Dutch (compliments of Henk Ovink – Special Envoy for International Water Affairs) flood risk management initiatives the group will then be pitched with key perspectives from both local and Dutch colleagues on (i) multi-level governance; (2) synergistic approaches of flood management with other objectives in the SEQ region and (iii) design thinking as a tool for collaborative solutions. A series of “world café” discussions will then distill the collective group perspectives on the critical aspects of these interlinked issues and identify strength characteristics and any gaps that need further resolution. The team involved, listed below, in leading Workshop One are an experienced mix of colleagues and will certainly stimulate this workshop. Workshop Two explores the concept that “Resilient cities are smart cities” with a focus on the application options for smart urban management, what can be achieved and how does that collaboration come about. The first phase will introduce participants to a newly developed scanner tool. Then through a case study on flood management in West End, participants will focus on options and ways that allows the best mix of measures to be derived. The scanner will allow various scenarios to be tested for their effectiveness. The second phase examines the bigger picture scenario, where the scope of interest in the catchment increases and authorities embark on long term implementation programs in urban change and growth (in uncertain times). 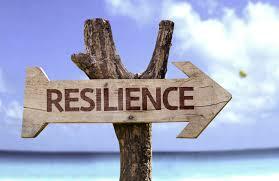 Helping to start this discussion, the group will hear from Arnoud Molenaar – Chief Resilience Officer from the City of Rotterdam on how his City dealt with such a challenge. These insights will fuel group deliberations on the added value of a joined approach and how is the collaboration best achieved and in doing so recognizing shared outcomes. This is not a smooth sailing process and the participants will explore what might assist to align conflicting interest in this complex “cross-cutting” water issue. In this workshop, participants will be lead by a group of Dutch and Australian colleagues who have collaborated together through the Flood Community of Practice activities over the last four years and are well placed to engage the group. For the wrap up of the two Workshops, both groups will share a report back of key highlights. A facilitated overview by Henk Ovink, Special Envoy for International Water Affairs and Piet Filet, Convenor – Flood Community of Practice ideas will assist to see what synthesis of insights can be derived and identify potential opportunities arising from the workshop that enable further collaboration in this AUSNED alliance. The Chairman from the Queensland Reconstruction Authority – Major General Richard Wilson will be a guest of this concluding part of this Water Summit.